...because you’d never see your offensive lineman wearing ballet slippers! You won’t believe what Quad City Safety has up their sleeve. You may know Quad City Safety as the one you turn to for all your safety needs. 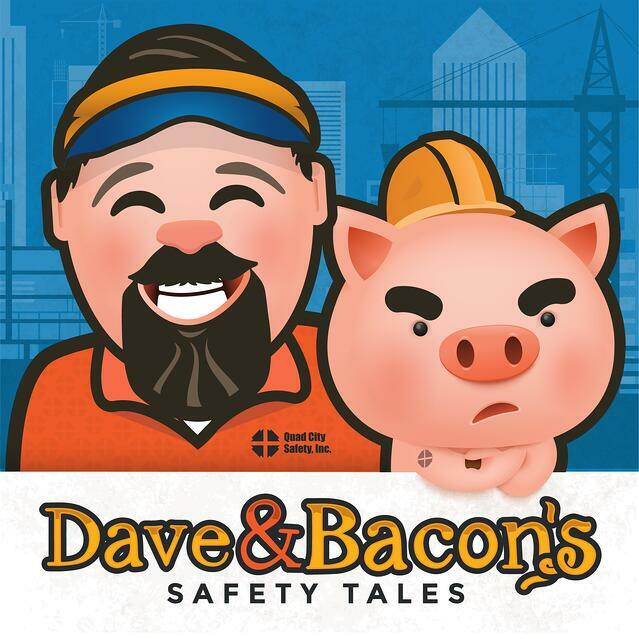 Backed by years of experience, you know you can rely on us to provide you with the safety equipment and services you need to stay safe. You know we’ll shoot it to you straight. Regulations and standards are complicated enough, and your safety equipment provider shouldn’t make it worse. You want real answers and advice that make sense to you and your industry. You may be wondering why we’re telling you this. Well, we don’t know how to sit still around here. So, we did a thing. And, we want to tell what we did and why. Wearing the wrong boot is not only unnecessary, it’s dangerous. We talk to workers every day about their challenges at work. One issue that we hear, over and over, is how tired they are. How their back is always sore. How much their feet hurt after 8, 10...14 hours on a job. That probably comes as no shocker. You know the work is usually strenuous, difficult and sometimes back-breaking. Here’s something you may not have realized — most of the time, it’s because they’re wearing the wrong boot. Think work boot selection’s not important? Think again. ...still wondering what the heck we did? Cool your jets and keep reading! Unfortunately, more than half of all occupational injuries involve the hands and feet. Injuries to the feet are often caused by repetitive tasks, forceful exertions, vibrations, mechanical compression or sustained positions. Work boots shouldn’t just be thought of as just ‘a cage’ around the foot. Workers shouldn’t have to suffer through long hours with clunky, heavy and ineffective foot protection. Check out some of the ways the wrong boot can do more damage than good. Ineffective Protection: Your #1 requirement in a protective shoe should be that it actually protects you. Imagine that. 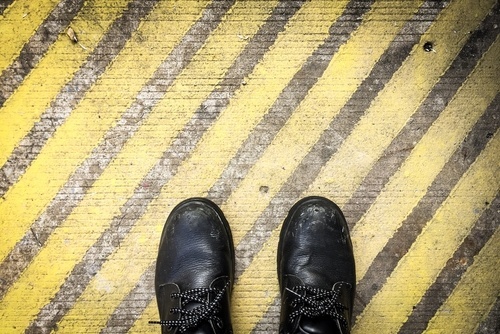 Whether you’re working with chemicals, sharp objects, crush hazards or electricity, wearing the wrong boots can not only hurt you...it can kill you. That’s why you should always talk to a pro when making your selection — especially when the work you do consists of multiple risk factors. Clunky boots: Heavier doesn’t mean more protective and will actually fatigue feet and legs quicker. They put more stress on ankles, calves and legs — leading to increased risk of injury and loss of focus. Leather is often the go-to choice for footwear, but lighter synthetic and mesh options are available to minimize that risk. Do your heavy boots also feel unbalanced? Like all the weight is on your toes? That’s kinda a guarantee that you’re going to develop shin-splints or sore shins. Why’s that important? Well, it makes your bigger muscles compensate to make up for fatigue in those areas. Then, those muscles become fatigued themselves. It’s a never-ending circle that can lead to even more risk of injury. That’s why finding a balanced boot is so important. Poor Cushioning: Think of your worker who’s stationary for long periods of time. Are they dealing with constant vibration (like a jackhammer)? Or, do you have a worker who is constantly moving? The right cushioning can help absorb shock and return energy. Imagine how much more productive a worker will be when they aren’t exhausted from the day before. ...That’s not even the half of it. 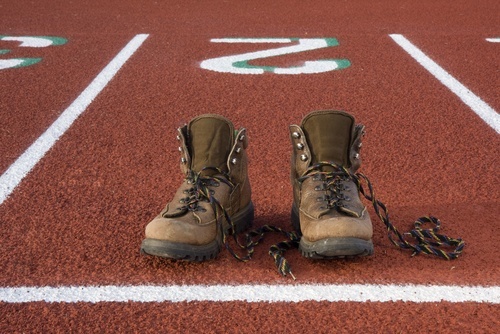 Are your work boots really protecting you? Too many people spend way too much money every year on the WRONG boot. Just like football and baseball players, the industrial athlete (yeah, we think they are pretty darn special) needs protective shoes that...ahem, protect. That can get pretty confusing. It’s not like workers just experience one isolated risk at a time, so their footwear needs to be carefully chosen. Think of all the hazards they experience. You need to take them all into account when picking a work boot. It’s basically a recipe. Sometimes, workers need protection from punctures, electrical shock and exposure from molten metal, chemicals or crush hazards. Sometimes, it’s a combination of many different risks factors. These are just a few of the different protective features we offer in our boot selection. And, there’s a ton more on our site to meet your needs. Does the work include the potential for heavy items to be dropped onto their feet? 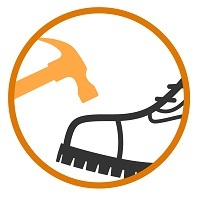 Steel or composite toe boots can protect their little tootsies from tools, machinery or materials crushing their feet. What’s the likelihood of them stepping on a nail, screw or dropping something sharp on their feet? Puncture-resistant shoes helps them avoid those hazards from ever reaching the skin. Wet environments, oily situations and places like industrial kitchens can benefit from slip-resistant safety boots. These are scientifically designed to address varying coefficients of friction between the walking surface and the slippery stuff. Meaning… they don’t fall and go boom. 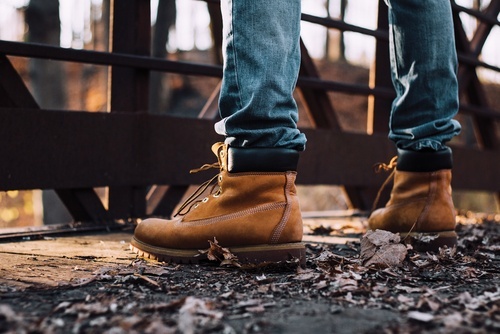 If the work involves chemicals, hazardous or biological materials, you’ll want to choose quality boots that keeps these safety concerns out and is waterproof. These hazards aren’t exactly the stuff people want ending up on their skin. Don’t forget about those tiny bones on the top of the feet. They need protection too! The metatarsal bones break easily and take forever to heal. Protect them with metatarsal guards, either built into the shoe or worn over top. These aren’t the old armadillo type metatarsal guards, either. They may sound similar, but there’s a huge difference in the two. EH boots work to reduce the flow of electricity through the shoe to the ground and must be kept dry. ESD minimizes static electricity on the boot and requires humidity to be effective. And, that’s just two examples of how they’re different. Click here to learn more. You're likely reading all this from behind a screen of some sort. So, maybe you don't know that we have actual brick and mortar stores. It’s where we provide guys and gals like you a place where they can figure out the RIGHT kind of boot they need. Every job is different and every hazard has different safety footwear needs. The team here at Quad City Safety thought it was so important that the entire industrial workplace had a place to turn for proper boot selection. That’s why we created a whole site dedicated to providing the help and expert advice workers are looking for. A place that our customers could turn to for accurate information relevant to the work that they do. A resource for the men and women that aren’t able to come visit our stores and be swept away by our charm. So, that’s just what we did. We launched a buyer-inspired website that’s easy to use, but thorough. Here, you can find easy-to-understand explanations that can help you identify your specific needs. And, show you why any old boot just won’t cut it. We can help you choose the RIGHT boot for your unique situation. The new website cuts through the jargon and technical nerd talk (lingo that that less than 1% of the population understands anyway). We speak your language. And, if you want to talk to a real-live person, we’ve got you covered. Just reach out to us right from the site and get a personalized boot specialist at your beck and call. P.S. 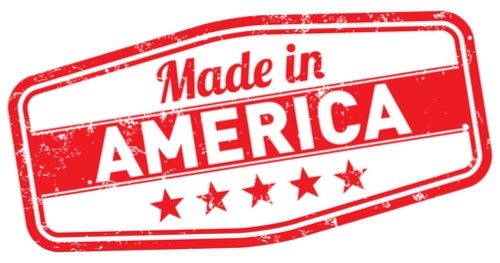 Do you like to buy American-made? 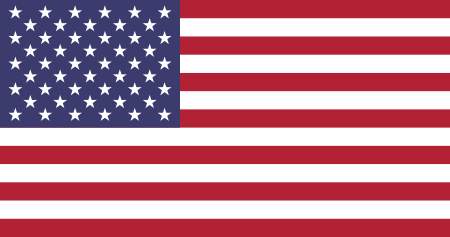 We’re with you… USA all the way! We have an entire selection of boots and accessories made right here at home. And, keeping with that hometown vibe, be on the lookout for our giveaway game. Now, we can reach workers all over the country and show our gratitude. We give back to the community that supports one another. Our goal is to get you home safe every night. Let’s get you off on the right foot.